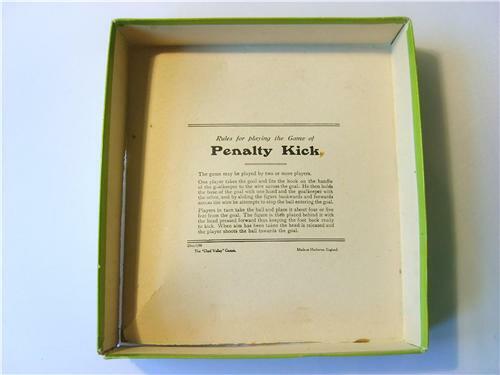 Simple penalty kick game made with wooden pieces and spring loaded kicking action. Lovely, well presented game by the old pros from Chad Valley. 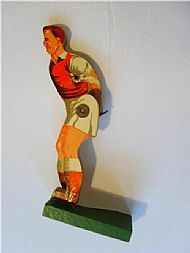 Appears to be from the 1950s. 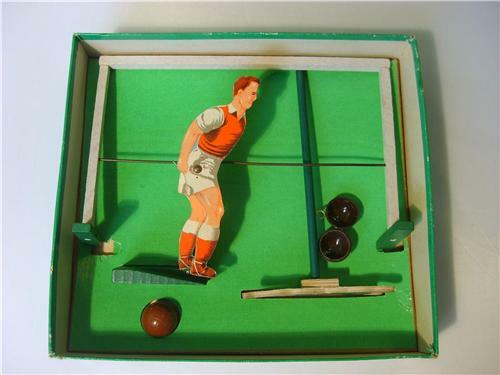 A beautiful little wooden game from Chad Valley. 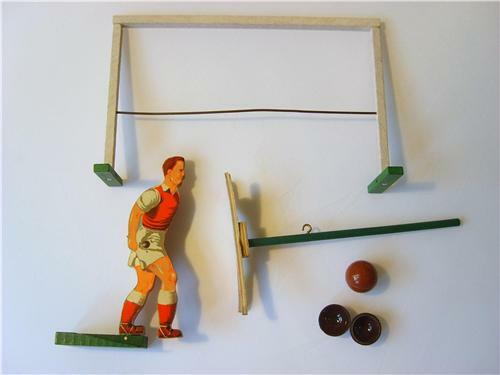 All very well presented components of kicker, goal, keeper and celluloid balls. 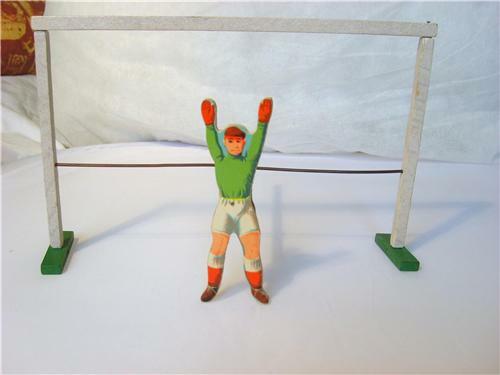 Not to sure that the keeper has covered the option of a low shot into the corner! The player does seem to be suffering from a little 'internal' discomfort. Nicely crafted pieces in the set. Apart from a shirt that resembles the Arse. 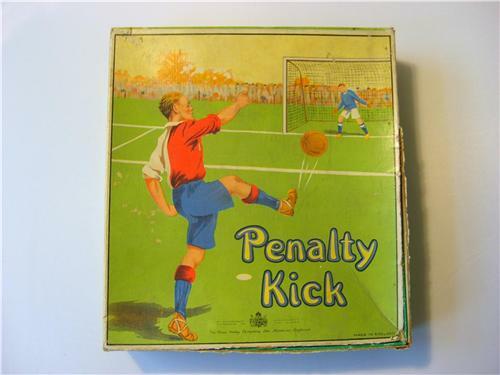 Set the game up and kick the ball at the goal - simples!